I felt like a character in a utopian novel when I walked through some 10 centimeters of fresh snow on my way to the Leipzig book fair. It was only five days before the start of spring! Utopias and future topics were popular for readings, book presentations and discussion rounds at this annual bookworm gathering. 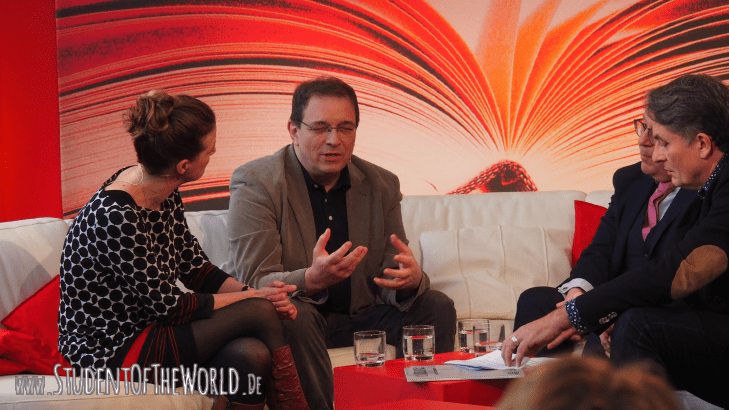 During a literary panel on “The Power of Utopias” for the TV channel 3sat I learned a very interesting fact: The Chinese Censorship Committee banned time travel in literature and film since 2011! I realized again how scared the powerful elite is of writers who develop entire worlds through their creativity and words. When the discussion started I was a bit surprised that it was actually about science fiction literature. I was never a big fan of interstellar novels. From a discussion about “utopias” I expected to find new approaches to society. I was ready to leave when the panel picked up exactly that topic: science fiction is the most unpopular genre, the “urinal of literature”. Novels have only become bestsellers when they were not marketed as science fiction, like 1984, fahrenheit 451 and others. I stayed, luckily. And I got some thought-provoking impulses out of the discussion: The small city of Wetzlar hosts a library for utopian and science fiction literature. While it started as a small place for nerds, today big corporations seek advice here. Likewise, in the United States the NASA scans science fiction literature in order to find usable ideas. 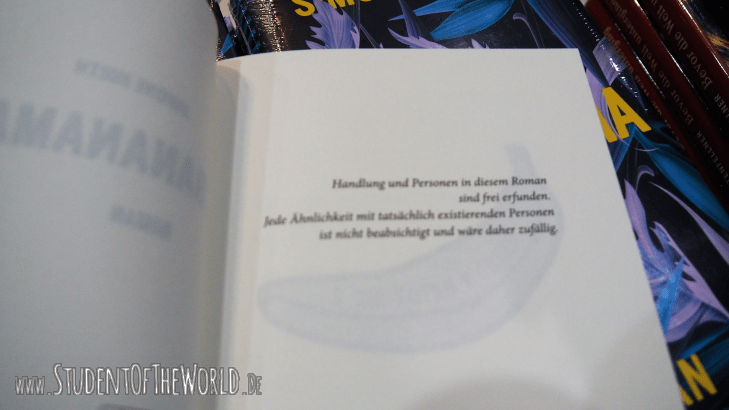 Later I went to the Leipzig Book Fair reading of the Austrian author Simone Hirth who presented her new novel Bananama. From the critical perspective of a 6-year-old child a story of a family unfolds. The parents renounce capitalism and try a new life in a house with little energy consumption near a forest. They live as “Aussteiger”. The German term “Aussteiger” has no equivalent in English. While it has no clear definition, it is widely used to describe people who try to free themselves from the norms of society. The most popular Aussteiger are probably the Hippies and, in literary terms, Henry David Thoreau with Walden. Hirth read scenes in which the father orders a scythe from the internet – with an organic wood handle. He then takes courses in scything and butchering. The father is against democracy and wants one single eco dictatorship party. He confiscated all books in the household, including school books. He teaches his daughter at home. After a lesson about the ecological footprint the girl is afraid to walk on her whole food and tiptoes instead. The child likes the noise of air planes and believes it will miss them once the forest grows and expands. 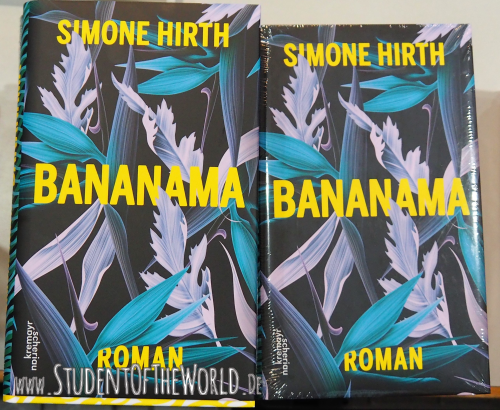 Novel by Simone Hirth about a family that renounces capitalism and social codes. discussion with the host of the reading Hirth said that the most absurd things in the book did not come from her imagination, like the butchering classes. The host didn’t seem to find the classes absurd. He remembered neighbors butchering when he was a young boy. However, he remarked, due to EU regulations which small butchers like his neighbours were unable to fulfill now large companies took over. I was irritated after the reading. Why should somebody who wants to live closer to nature and limit his participation in useless consumerism not order something in the internet? The author found this behavior hypocritical. I don’t agree. We neither have to live a stone-age life to make a positive impact in the world nor do we have to be purists in any way. Why not use new technologies like the internet and remote orders in a conscious way, now that the technology permits it. One doesn’t need to use amazon to order something. The author, a young woman in her early thirties speaks of a eco fascism and a pseudo eco ideal. She complains about the high prices of eco and organic products. In her opinion, they stand in opposition to the idea of the eco movement. I missed a critical perspective on the reasons for price dumping of normal food, like mass production or pesticide use. That’s simply economies of scale! If we return to smaller production units, things become more expensive. It is up to us to decide how much we can and want to afford. Or whether or not we want to limit ourselves in some ways to be able to spend more on things we find really important, like produce without pesticides. The irony, resignation and frustration I perceived during the reading made me wonder: Do we sometimes try to exaggerate something to make it look wrong and unrealistic? This would protect us from any necessary change in habits. If the eco-conscious lifestyle is just another hoax we don’t have to consider to make small and viable changes in our lives. Changes can be inconvenient and scary, especially if they require abstinence from things we have come to like. If eco-conscious people are depicted as hypocritical unworldly idiots, I don’t want to identify with them. As a reader I could come to the conclusion: the eco lifestyle doesn’t work. So I just stay with my old habits and all my amenities – even if I live at the expense of future generations. 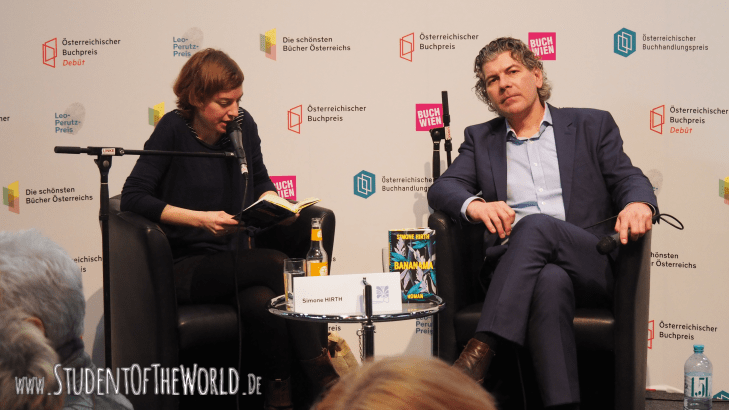 I hope that Hirth or other authors – from Leipzig Book Fair and beyond – will use their talent and creativity to imagine positive narrative that focuses on possibilities and guides a way to a sustainable and regenerative planetary culture. Words do create worlds. The Chinese government and their ban on creating societies in other times reassured the power of words and imagination. If we can tell a story, we can also live it. All action starts as thoughts. Don’t want to miss any changemaker topics? 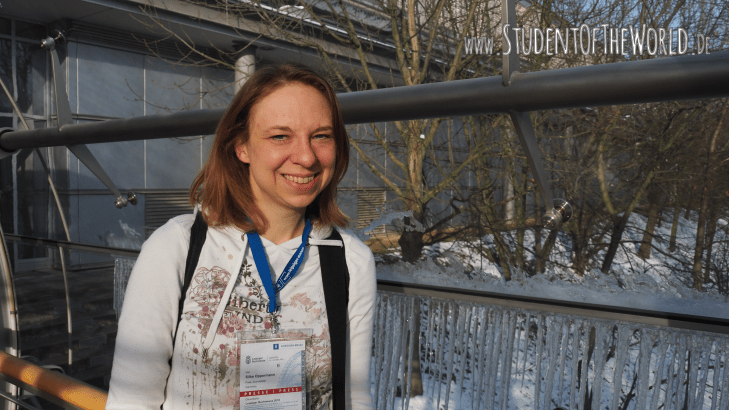 Subscribe to the Student of the World Newsletter. Interested in literature and language? These posts might be interesting for you! always sticks to compulsive realism, it’s hard to find creative solutions for problems. I think we need both, realism and utopia. because they inspire each other!